As you may know, last summer, well, autumn, but it felt like summer, I visited Las Vegas as part of mine and my bestie's huge USA road trip. I didn't expect to love Vegas, only booking three nights and setting a strict budget, just seeing it as 'one to tick off the list' before heading to California. Little did I know, I would absolutely love the place. I haven't gone into too much detail about my trip to Vegas in 2017, because as you might have seen on social media, I was there during the horrific mass shooting at Mandalay Bay. It obviously impacted our trip, and the little time that we spent there just didn't feel right to talk about in a happy, positive way. 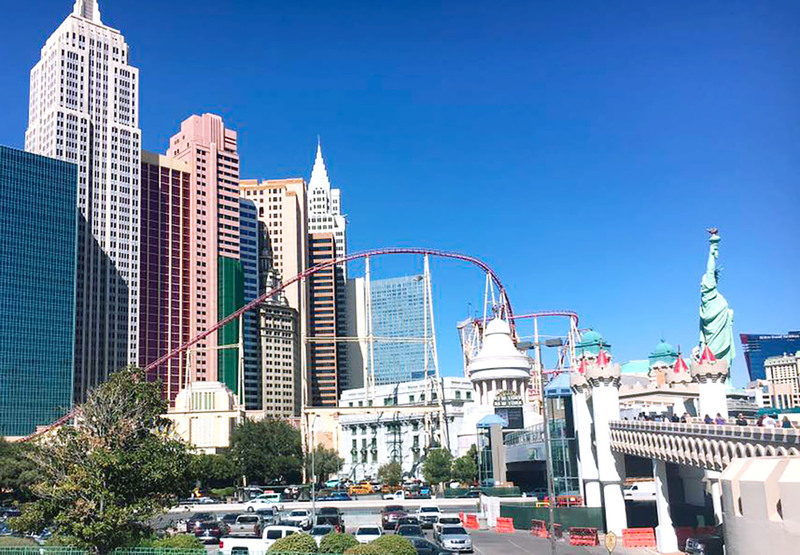 But, seeing as I did enjoy some of my time there, and I am now heading back later this year, I thought it may be helpful to do a post on what I learned in Las Vegas and how I'd do it differently. Of course our first trip to Vegas wasn't perfect for many reasons, but we did learn some lessons which we will remember for our next visit, to make it a hundred times better than the last. 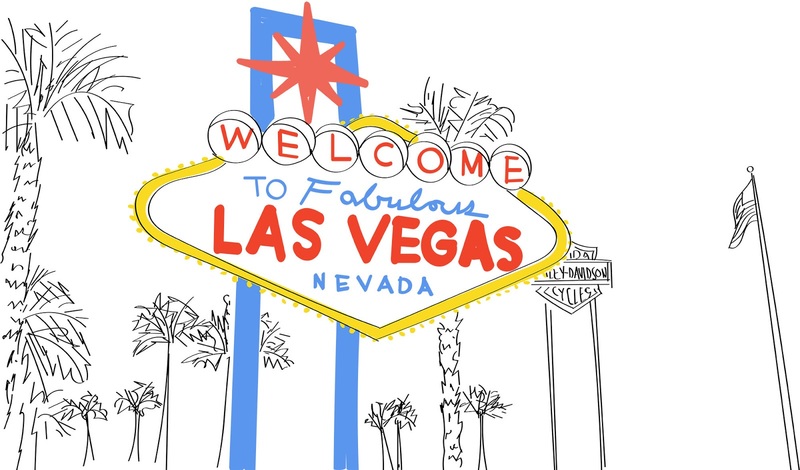 If you are going to Vegas, or know someone who is, pass these tips on! 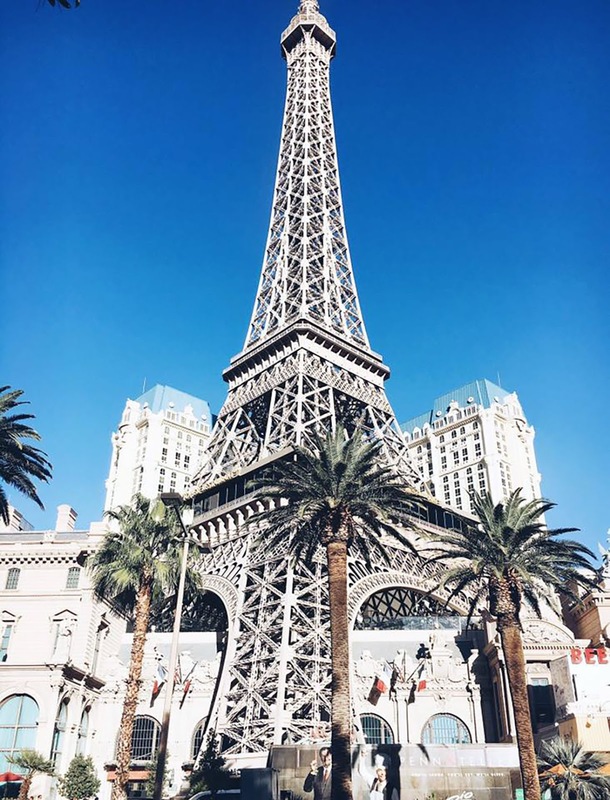 When we initially booked our hotel in Vegas, we went for one of the cheapest options we could find, located just 10 minutes away from the airport, because we were landing late at night. What we didn't realise is that whilst it was just one block off the strip, this part of the strip, wasn't even the strip. Our hotel was way south, miles past the famous fabulous Las Vegas Nevada sign and miles past the airport. Google maps said we could catch a bus to the main tourist attractions, but no bus ever came. We walked for over an hour through the desert. Would not recommend. This time, we are looking at hotels in Las Vegas much closer to where the action is, either on the strip itself or one block off of it. TravelSupermarket have some tempting options... If anyone has any Las Vegas hotel recommendations, send them my way! I'd heard about the possible deals in Vegas months before originally visiting, but of course I forgot all about them and ended up paying over the odds for food and drink whilst we were there. A lot of visitors use sites like Groupon to find deals for some of the city's biggest bars and restaurants beforehand, or use mobile slot games which you can use to collect rewards. I don't know too much about this, so don't hold me to it, but it's something to look into. Spending only three nights in Vegas the first time, we didn't get to see much of Vegas' wild side. The first night we were too exhausted to do anything, the second was an early one because of our 5am wakeup call for the Grand Canyon the next day and the third was the night of the shooting. This time, we have already booked to see our favourite band blink-182 at the Palms, but it would be great to squeeze in another show, like a magic show or something out of the ordinary. After all, it's what Vegas is known for, right? 4. Spend more time there! As I said, three nights is simply not enough to explore Las Vegas, even if you think it's just a bunch of casinos in the desert. There's so much to see and do there, from gambling to shows to parties to shopping and exploring downtown. This November, we'll be spending more time in sin city, making the most of it, drinking more frozen margaritas than last year. If you can, I recommend you spend about a week if you've never been before (and you don't gamble away all your money by the second night). Last time, we never even got near downtown Las Vegas, but it is certainly on my list, especially to try some more independent restaurants and bars. The strip is of course filled with chains, like Popeyes and Shake Shack, but I bet there's a lot of cooler options a little further out. And hopefully some good tuff for us veggies, too. Again, any recommendations, leave them in a comment! On our first trip to Vegas, we got about as far north as the Bellagio, thinking that was pretty much it, and partly due to us being so damn tired. How wrong we were. There is so, so much more to explore further north, both on the strip and off. The neon museum and stratosphere are both yet to be ticked off my Vegas to-do list. Here's hoping we get to tick them off in November. We loved Las Vegas the first time, as you can see in my Vegas / Grand Canyon / San Diego vlog, but I just know next time is going to be even better, especially with all the tips I learned the first time. 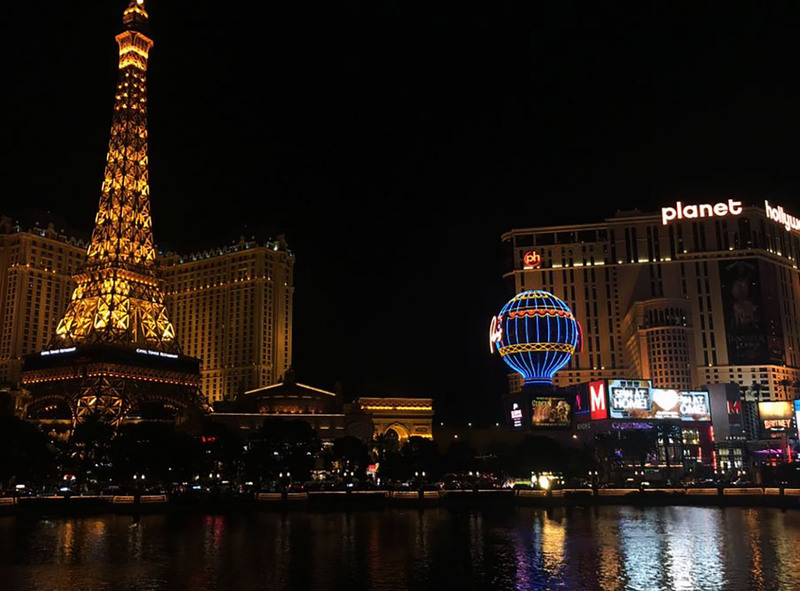 I hope these tips on what I learned in Las Vegas & how I'd do it differently have helped some of you guys, especially if you've never been before. Stay tuned for more travel posts, I have two more trips planned so far this year! You can follow me on Instagram to keep updated. I love this post Allie. 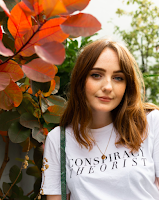 I’m going next year so these tips are so handy! Looking at hotels on the strip for sure & seeing a show, but the Groupon idea for bars is such a good thing to remember. Thank you!